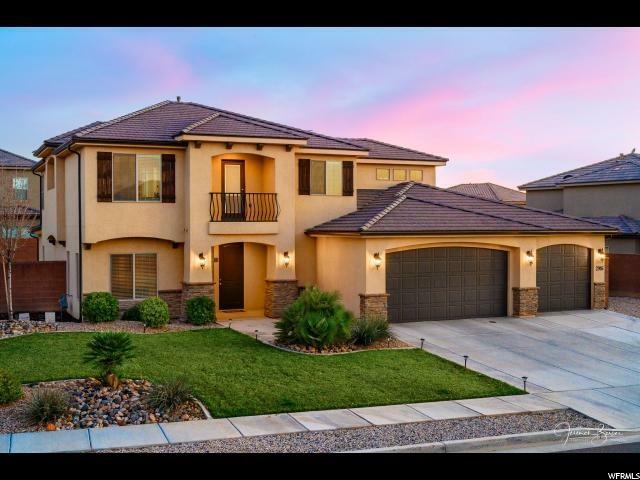 All COTTONWOOD homes currently listed for sale in St. George as of 04/25/2019 are shown below. You can change the search criteria at any time by pressing the 'Change Search' button below. "YES, it's possible, believable, and credible that THIS IS YOUR NEW HOME! Crystal clean & pristine in the Cottonwood subdivision of LITTLE VALLEY boasting the perfect balance of upgrades & a floor plan with ZERO wasted space. 5 SPACIOUS bedrooms, 3.5 baths, PLUS office/den/living/flex rm. off entry. Main level master suite - truly SWEET! Main level AND upstairs family rooms and storage throughout. Warm earth tone colors too that will accommodate ANY furniture design/style or color. FULLY LANDSCAPED lot with RV Parking on the side. Close to ALL the benefits of Little Valley living. Don't miss out on this opportunity to make it YOUR home."